Are you preparing to close on your new home in Chapin, SC? 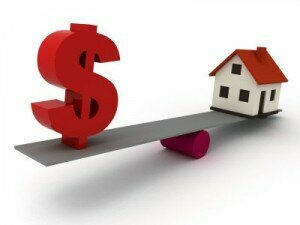 In today's blog, we give you a simple breakdown of closing costs, what they are and how much. Take a moment to browse through our blog and eliminate any surprises at the closing table. We know buying a home can be a stressful time, but some basic information can help minimze that stress and help you navigate the final purchasing process. So, help yourself to our blog and we wish you the best of luck. For additional information, follow this link to a detailed guide about Chapin, SC. Appraisal fee: cost varies. The property being appraised is collateral for your mortgage so the lender will want to verify that the property’s value is comparable to similar property based on recent sales in your area. Credit Report: $7-$60. The lender naturally wants to verify your good (or acceptable) credit rating. Flood certification fee: cost varies. The certification verifies whether your property is in a federally designated flood zone. Flood monitoring: cost varies. This service monitors your property if and when flood zones are remapped. Lender’s Inspection fee: cost varies. Also know as a 442, this inspection is for newly constructed property to verify that construction is complete with carpeting and flooring installed. Loan discount: cost varies. These are discount points, each equal to 1 percent of the loan amount, in addition to the loan origination fee. Loan Origination Fee: cost varies. This is also called "points." Typically, the more you pay in points, the lower the interest rate. Mortgage broker fee: They may also add in any broker processing fees in this area. Tax service fee: $70-$80. This fee goes to an independent service that monitors your payment of property tax for the lender. Administration fee: cost varies. Either this or an underwriting fee will typically be charged. Appraisal review fee: $75-$150. An appraisal review is usually done on higher-valued properties. Document preparation: around $200. Even though lenders now can draw up their own documents without paying document preparation firms, you’ll still pay this. Underwriting fee: $300-$350. This is the cost of putting the loan together. Warehousing fee: cost varies. This fee isn’t seen much anymore, but you may end up paying it – it’s the cost of a “warehouse” line of credit. Wire transfer fee: cost varies. This is the cost to transfer funds from one account to another. Homeowner’s insurance: cost varies. You are usually required to pay the entire first year’s insurance premiums at closing. Mortgage insurance: cost varies. Some first-time homebuyer programs still require the first year mortgage insurance premium to be paid in advance. Pre-paid interest: cost varies. This is the interest that will accumulate between the day of closing and the day the first payment is due, usually the first of the following month. Up front mortgage insurance premium: cost varies. This is 2.25 percent of the loan balance, normally added to the balance of the loan. It is charged on FHA purchases of single family homes or planned unit developments. VA funding fee: cost varies. This is paid to the Veterans Administration for guaranteeing your loan. Homeowners insurance impounds: cost varies. Lenders are allowed to keep two months’ worth of reserves in your impound account, so you will need to deposit two months’ worth of premiums to start it up. Mortgage insurance impounds: cost varies. As noted above, most lenders allow mortgage insurance monthly, but you might have to put two months’ worth of premiums into an impound account for a reserve. Property tax impounds: cost varies. Depending upon when taxes are due determines how much you will have to deposit towards taxes to start up your impound account. Courier fee: cost varies. This is the charge for sending documents back and forth between lender and borrower. Home inspection: cost varies. This is an optional, but recommended, cost. Home warranty: cost varies. Also optional, a home warranty usually covers such items as the major appliances, should they break down within a specific time. Often this is paid by the seller. Homeowner’s association transfer fee: cost varies. This is the cost to transfer the membership from the seller to the buyer. Loan tie-in fee: cost varies. Usually charged by the closing agent, this is for services they provide in dealing with the lender. Notary fees: around $40. This is to make the document signatures legal. Pest inspection: around $75. This inspection tests for pests and problems such as wood rot and water damage. Recording fees: $40-$75. Charged to record documents with county government recorder. Sub-escrow fee: cost varies. The title insurance company usually charges this for dealing with the closing agent. Title insurance: cost varies. You pay this to make sure you have clear title to the property.